The NOTA votes in Rajasthan elections were 1.3 per cent. 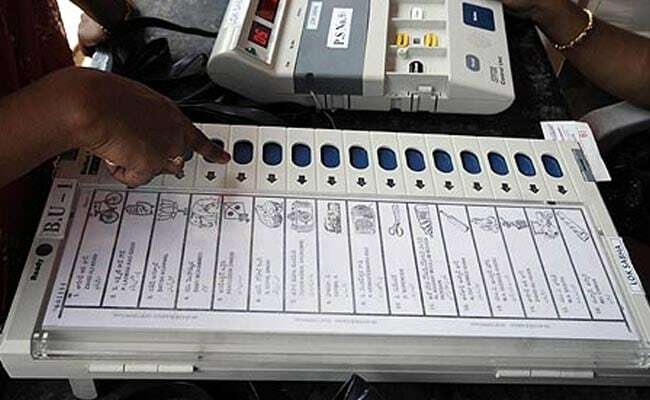 The NOTA or none of the above option appeared to have outperformed several political parties, including the AAP and Samajwadi Party, which contested the assembly polls in the five states. According to the Election Commission's website at 8 pm today, the NOTA votes ranged as high as 2.1 per cent in Chhattisgarh to 0.5 per cent in Mizoram. The Aam Aadmi Party (AAP), which fielded its candidates on 85 seats out of 90 seats in Chhattisgarh, got 0.9 per cent of votes while NOTA votes were 2.1 per cent of the counted votes in the state. Samajwadi Party and Nationalist Congress Party (NCP) got 0.2 per cent votes each in Chhattisgarh. The Communist Party of India (CPI) got 0.3 per cent votes in the state. In Madhya Pradesh, NOTA votes were 1.5 per cent of the total counted votes. Samajwadi Party got 1.01 per cent while AAP got 0.7 per cent votes. The NOTA votes in Rajasthan elections were 1.3 per cent. The Communist Party of India (Marxist) and SP got 1.2 per cent and 0.2 per cent votes respectively. The AAP and Rashtriya Lok Dal (RLD) received 0.4 per cent and 0.3 per cent votes each in the state. In Telangana assembly polls, NOTA got 1.1 per cent of votes while NCP got 0.1 per cent of votes. The CPI(M) polled 0.4 per cent votes while CPI received 0.4 per cent votes. In Mizoram, NOTA got 0.5 per cent of votes while People's Represent for Identity and Status of Mizoram (PRISM) got 0.2 per cent of votes. The BJP was behind its main rival Congress in Rajasthan and Chhattisgarh. It was locked in a close contest with the opposition party in Madhya Pradesh. Major Political Parties Spooked As More Voters Pick "None of the Above"